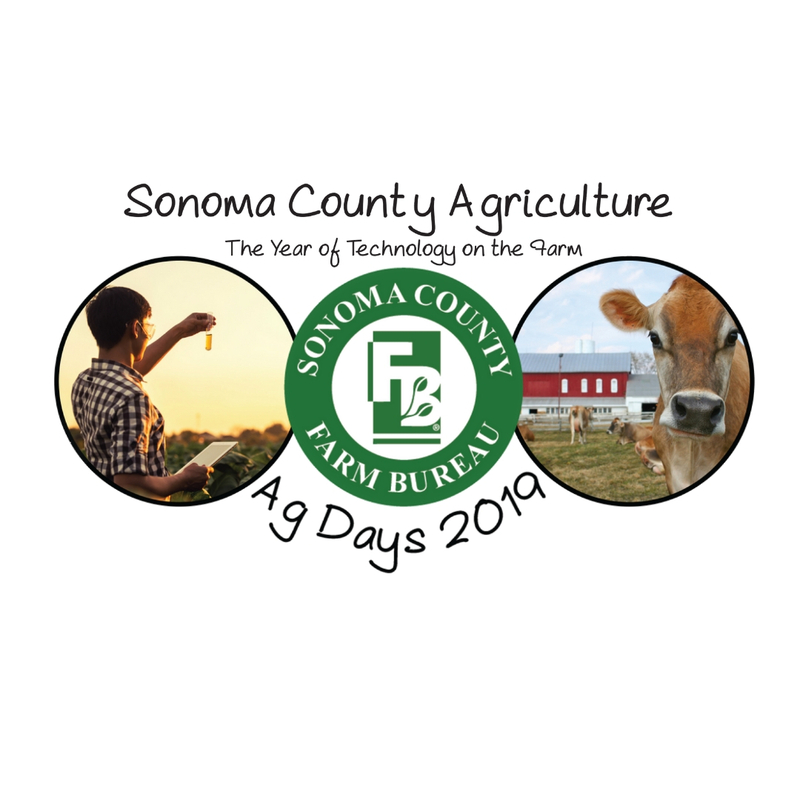 Sonoma County Farm Bureau invites your business to become a sponsor for “Sonoma County Ag Days 2019” on March 12 & 13. Sonoma County Ag Days educates nearly 5,000 elementary age children, teachers and parents about the importance of agriculture and the value of local food production. Your sponsorship will be used to promote agricultural education, agriculture literacy, distribute agriculture in the classroom curriculum and provide for the venue for the event. We know you share our commitment for promoting agricultural education. Descriptions: As a dinner sponsor, your company will receive a full page ad in the awards dinner program. Farm Bureau will display your company banner at the dinner and you may elect to have a booth to promote your business. Your company name will be mentioned on the mic during the awards dinner. After the event your company name will be listed as a sponsor in Sonoma-Marin Farm News. Descriptions: As a premium sponsor, Farm Bureau will display your company banner at the event and you may elect to have a booth to share in the educational experience additionally, your company logo will appear in the awards dinner program. After the event your company name will be listed as a sponsor in the Sonoma-Marin Farm News. Descriptions: As an award sponsor, your company name will appear in the awards dinner program. Your company name will be mentioned on the mic during the awards dinner. After the event your company name will be listed as a sponsor in Sonoma-Marin Farm News. Descriptions: As a silver sponsor, Farm Bureau will display your company banner at the event, your company name will appear in the awards dinner program. After the event your company name will be listed as a sponsor in Sonoma-Marin Farm News.